Quantum bits, also known as qubits, are the core elements of quantum computers. Unidirectional circuit elements are needed to efficiently readout these extremely sensitive information carriers and at the same time protect them from interference signals. Circulators are widely used in communication technology, but these components are several centimeters in size, which limits the scalability and size of future superconducting quantum computers. In his work, Johannes Fink used a micromechanical oscillator for this application—the first time this was ever done. This means that the electromagnetic wave—the signal to be read, which in this case originates from the microwave range—is converted into a mechanical wave for further processing. The mechanical wave has a much shorter wavelength, making it possible to keep the components small. The concept of conversion to mechanical waves is used, for example, for frequency filters in modern mobile phones. Fink applied this concept to the development of his circulator and was thus able to produce this component on a silicon chip—in an unprecedentedly small size. 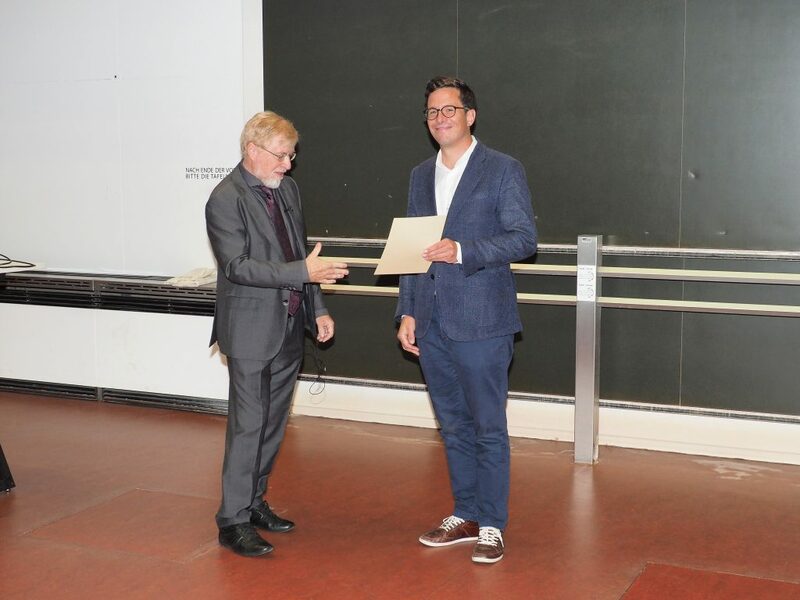 The ÖPG gives out a physics prize every year, alternating between the Fritz Kohlrausch Prize for achievements in experimental physics and the Ludwig Boltzmann Prize for achievements in theoretical physics. Last year’s Ludwig Boltzmann Prize winner was Mikhail Lemeshko, another IST Austria professor. Thus, despite the relatively small number of physics groups on campus, IST Austria now has two ÖPG physics award winners. After receiving his doctorate at ETH Zurich, Johannes Fink continued his research there as a postdoc, then joined the California Institute of Technology (Caltech). There, he laid the foundation for his current work. In 2016, the Vorarlberg native returned to Austria, and has been researching integrated quantum systems at IST Austria ever since. He and his postdoc Shabir Barzanjeh carried out their prize-winning experiment at IST Austria, which has its own nanofabrication facility — a clean room for the production of miniscule components.